All of these characteristics add up to a strong looking face shape that can be flattered with the right hairstyle and makeup choices. Avoid blunt bobs, especially sitting at chin length with straight heavy bangs as this will accentuate your jaw line and squareness. Middle parts with solid bangs can also work against you. A long length, particularly through the front. This long bob is perfect for adding length and a rounded appearance to short, square face shapes. Due to its rounded nature, a graduated bob will soften a square jaw line. Has a short length that accentuates the jaw line. 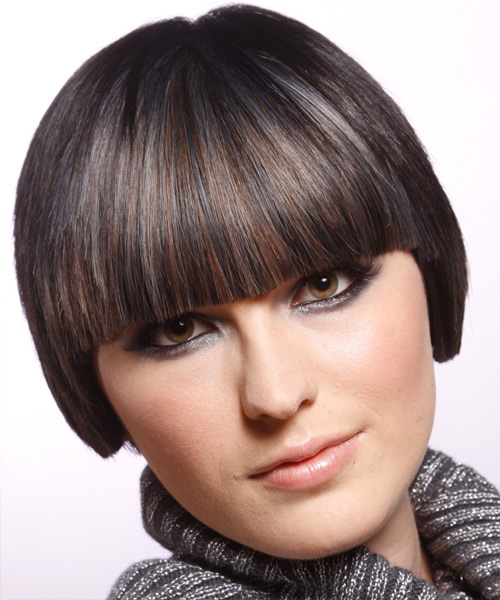 A blunt cut bob, particularly one teamed with heavy, full bangs, will only further promote the squareness of your face shape. Because square faces have such a strong jaw line, any hairstyle that makes this the focus of your face, such as this short blunt cut bob, should be avoided in favor for longer, more rounded bobs that will flatter your jaw line. 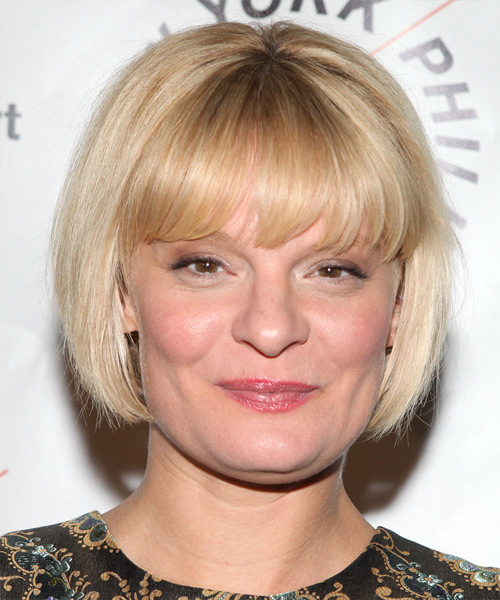 Martha Plimpton has a square face shape and unfortunately is not doing it any favors with this style. 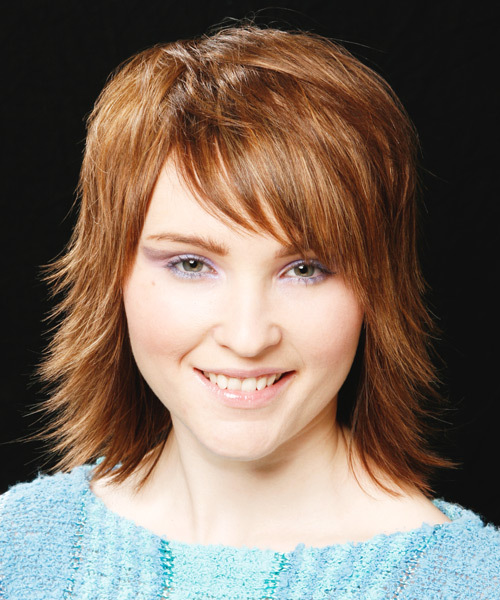 The two pitfalls of this hairstyle are the bangs that are cut straight across the forehead and the jaw length blunt bob. Both of these features only emphasize a boxy look. 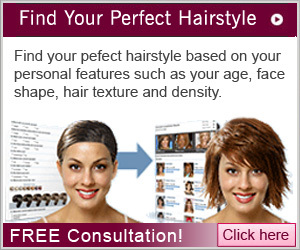 Instead, bangs should be swept to the side, "wispy" or curved downwards near the temples to create an arc shape. 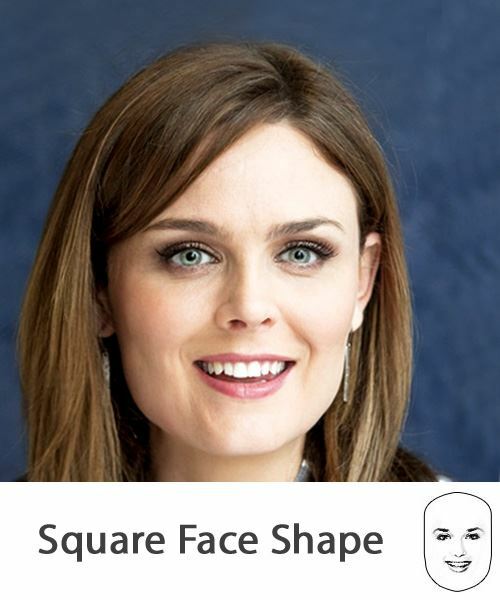 Square face shapes have an angular jawline so bangs that will draw attention to the upper part of your face, especially to the eyes, are ideal. Bangs that run fully across your forehead with a diagonal element should give your face shape the illusion of roundness rather than squareness. Long, side-swept bangs will draw attention to the eyes, create softness, and will minimize the squareness of your face shape. Bangs that shorten the length of your face, create a box around your features, or cover up the majority of the top section of your face will only enhance the square nature of your face shape. Heavy bangs that will hide your entire forehead will only bring attention to the square jaw area of your face shape. Solid bangs that run straight across will instantly shorten the length of your face shape and create a square shape across the top half of your face, which is something a square face shape needs to avoid. Use a shader that is one tone darker than your foundation under your cheekbones, out to your hair line and down under the points of your jaw to create a flattering shape. To narrow down the top of your face, blend some shader just above your temples to the outer corner of your forehead. Use shaping and shading tricks to lift the outer edges of your face so that your jaw line appears lifted. Apply a light colored blusher on your cheekbones and chin to give them the illusion of lift. Use a dark colored eye shadow under your eye, on your lid and from the inner point of your eyebrow to the outer edge. Use a bright lipstick on your lips and apply it to your top lip with a slightly pointed shape to help make your chin appear more pointed. For more tips on shaping your lips, see our beauty article, Makeup Tricks: Shaping Your Lips. When it comes to makeup, the number one rule is that you should always be comfortable. Use these tips as a guide for creating your own look and remember that all face proportions are different and the aim is to balance your own individual features within your face shape.